Just about every business today needs to have some sort of “online” marketing campaign that utilizes emails or e-letters to communicate with current or prospective customers. As your business grows and is more on target with respect to marketing, you are going to quickly outgrow the “manual” email send from your own computer and need to use an email marketing service. 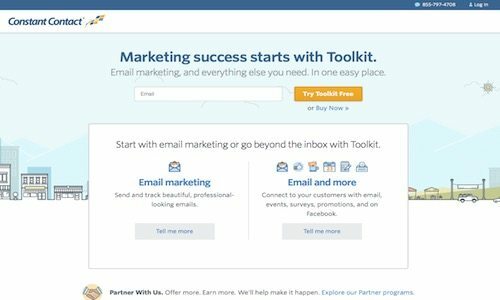 Think of the service as a place to have all your customers’ email information in one place, handy templates to help you create nice looking emails, and a host of tools to help spread the word of your business to others. There are three big reasons you need to convert your email database to an email marketing service. The fact of the matter is that if you keep emailing lots of people from your own personal computer, your current email provider will most likely shut you down at some point. [bulk] spam and not even deliver them to your intended recipient. There are some very impressive strategies you can implement once you are working with an email service such as the ones listed below. All of your prior emails to your database, not to mention the database itself, is backed up off-site. So, what email marketing services should you use? First off, that is a pretty big question. A lot of it really depends on your budget and the features you must have. It is not uncommon to switch services as your needs grow. So, in no particular order, here are the four most popular choices among our clients when it comes to email marketing services. Special Note: Email marketing providers change their service offerings often. It is always best to check out the company’s site directly for current pricing and features. MailChimp is a great choice if you are just starting out…testing the waters so to speak. It is probably the most popular service of choice for our new or smaller clients (particularly in the beginning). • MailChimp is the only major provider to offer a free account. 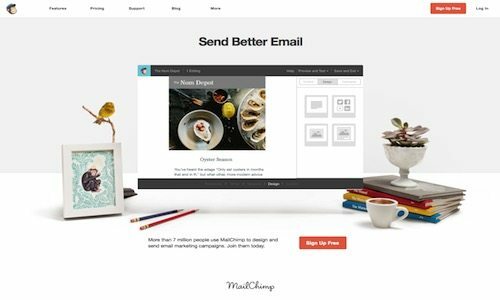 There is no charge for MailChimp if you have fewer than 2,000 subscribers and are sending fewer than 12,000 emails per month. If you get above that, they offer upgraded plans that are still fairly priced. • Wide range of templates to choose from (over 400). • Editable “From” name on emails. • Upload an existing list of contacts. • MailChimp has limitations with regard to autoresponders at the free level (but fully functional with paid upgrade). • They do not allow you to send one campaign to multiple subscriber lists. • Somewhat “cheaper” market perception (but most likely only from those in the know…not your subscribers). 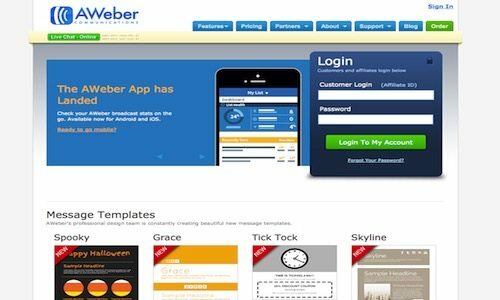 Aweber was one of the first ones I worked with of any magnitude. Although they have fallen behind in a few features, I still have many lists that I still run on Aweber. • Integrates easily with PayPal, WordPress, Eventbrite, and more. • Easily search lists and create “segments” based on actions. • A bit cumbersome to use “tagging” feature. Probably one of the more popular email marketing services, Constant Contact is a favorite among small and medium sized businesses. • WordPress plug in as well as a Facebook “Fan Page” app. • Great analytics including complaints, opt-outs, click-through rates, and social shares. • Additional fee to send survey to contacts. 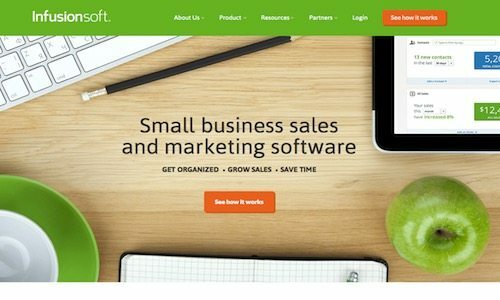 • No free version for small-scale businesses ($20/mo. Starter package). In some ways, Infusionsoft is the Rolex of email marketing. I mean, we are talking dreamy! It is virtually a one-stop shop toy store for email marketing. It also comes with a pretty hefty price. • Email, social marketing, and e-commerce solutions. • Unprecedented list segmentation and targeting. • Price. Lowest tier starts at $199 a month for 2,500 contacts and 12,500 emails (sent per month). • Not as user-friendly as other systems. With power, comes confusion, so expect a bit more of a learning curve. Choosing an email marketing service can be a bit challenging. It is helpful to know both your current and future plans. Moving a list from one service to another can be a hassle. Oftentimes, the new service will require you to have each of your users “re-confirm” their subscription. Needless to say, typically there are a significant percentage of people that will not bother confirming (and thereby “drop” off your list). Something to consider when you move a list.